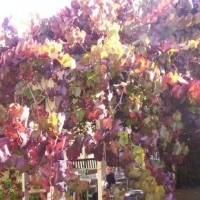 Dark green leaves turning bright red in autumn and small, unpalatable, blue-black grapes. 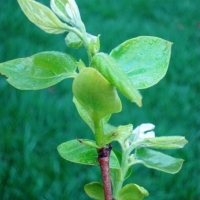 This vigorous, deciduous, ornamental climber has deeply impressed veins on the leaves and thick, brown felt underneath. 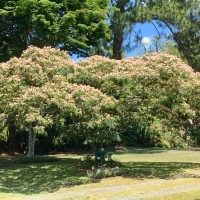 Performing best in full sun. 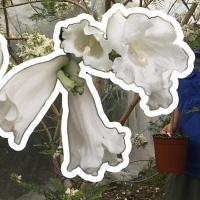 It is a fast-growing plant that can reach up to 25m (82ft) although it will take some years to get to this height! 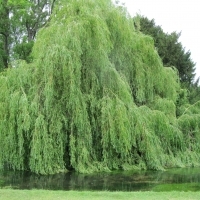 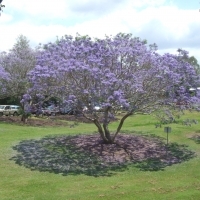 Due to its size and density of leaf cover, it's best planted on its own. 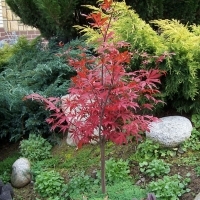 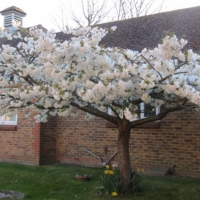 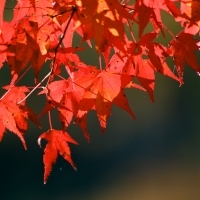 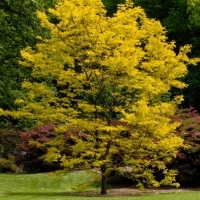 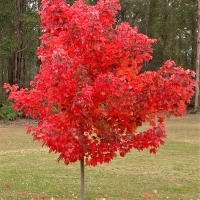 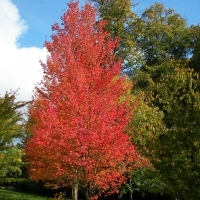 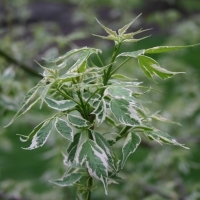 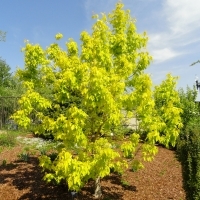 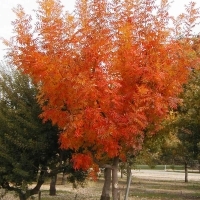 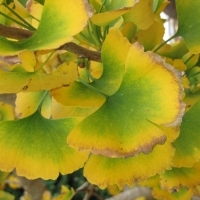 Used extensively as a landscape tree due to its picturesque, unusual shaped crown and autumn coloured foliage. 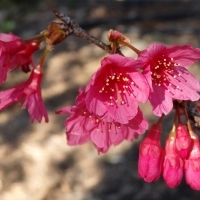 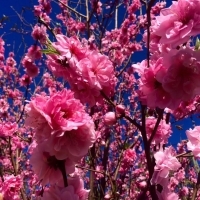 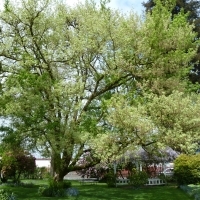 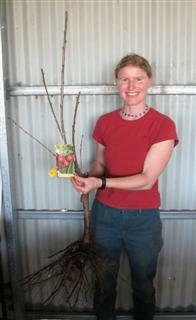 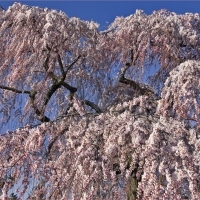 Both Male and female trees are required for cross pollination. 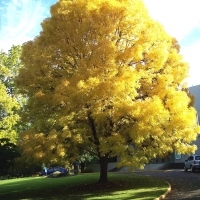 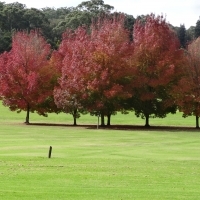 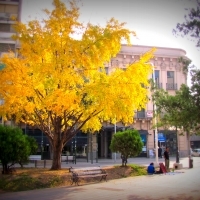 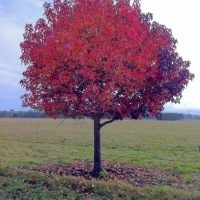 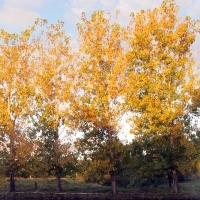 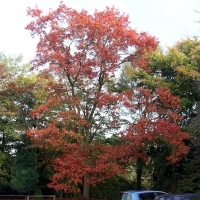 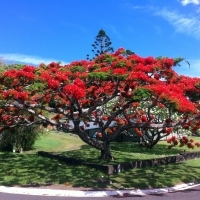 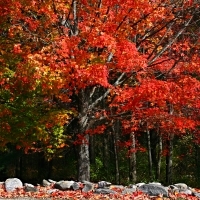 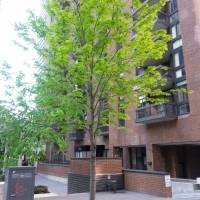 This tree is used extensively as a landscape tree due to its picturesque, unusual shaped crown and autumn coloured foliage. 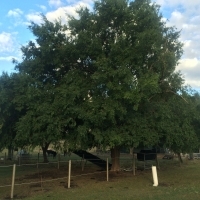 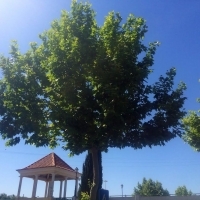 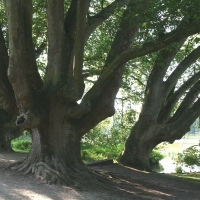 The trees become large making them ideal shade trees. 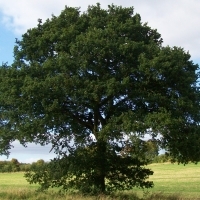 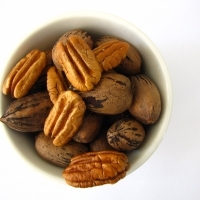 Both male and female tree are needed to produce nuts. 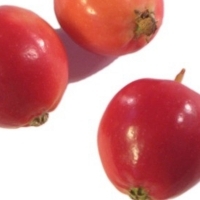 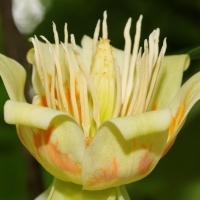 The fruits are produced on the female trees and have an unpleasant aroma. 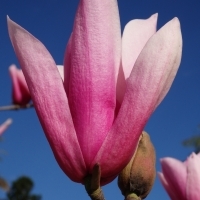 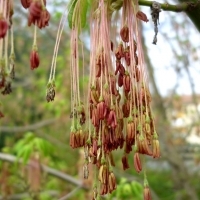 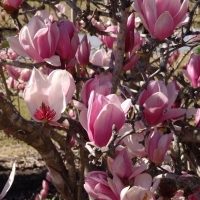 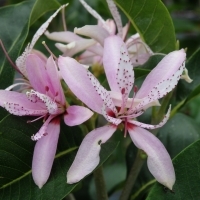 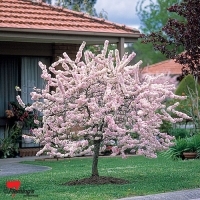 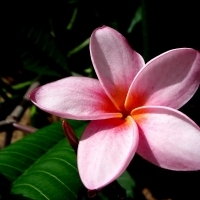 A deciduous tropical tree that is well known for its attractive and strongly scented flowers.